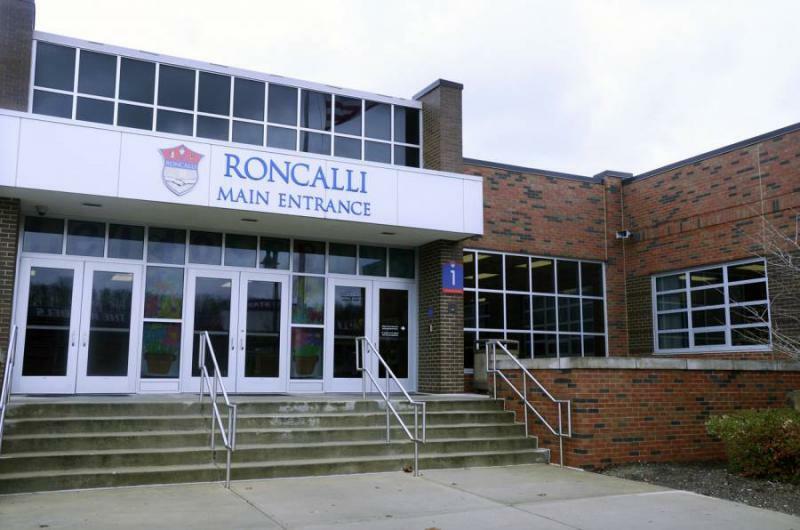 The Roncalli student section protested the school’s move to place Shelly Fitzgerald on administrative leave. The guidance counselor’s job was threatened because she is married to a woman. 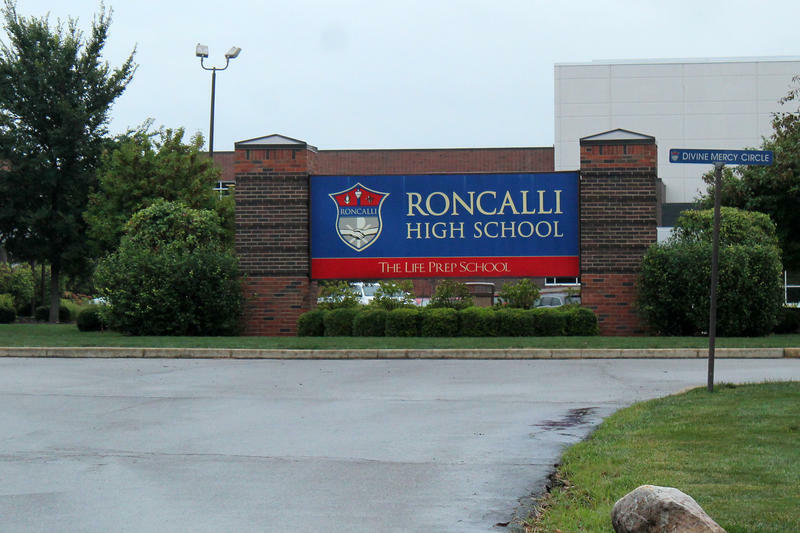 Roncalli High School senior Riley Seddon says the football game is just the latest in a string of student protests since Fitzgerald was placed on administrative leave. 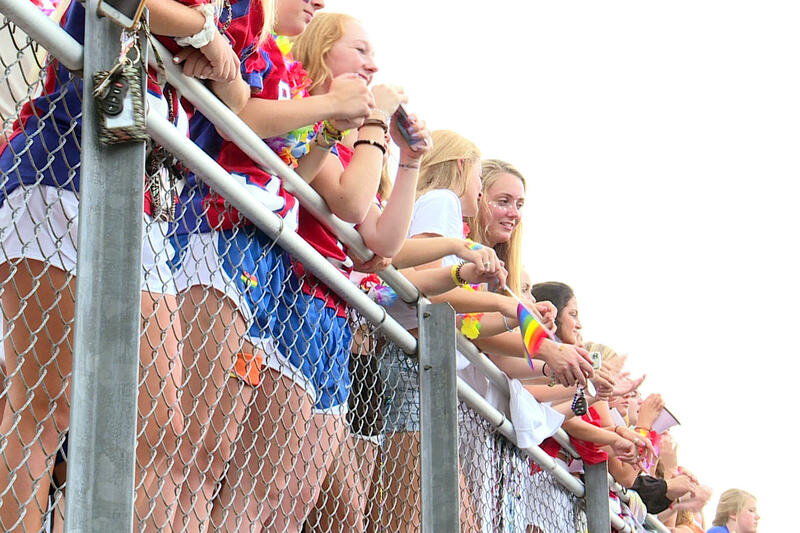 Across the field, Southport students also wore rainbow flags, to support the Roncalli students. 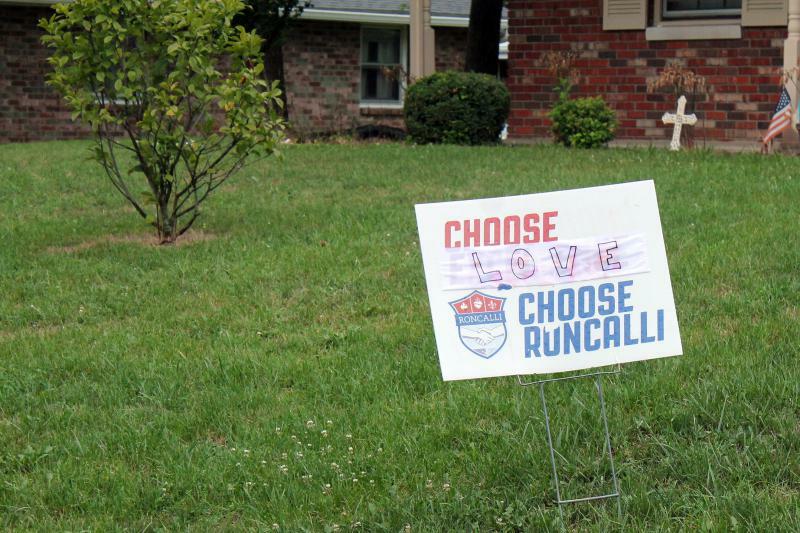 Southport’s motto is “We Fly As One” and senior Rachel Woodson says it was only natural to apply that motto to Roncalli. “We thought it would be great to add on to their community and fly as one with them as well,” Woodson says. With rainbows on both sides of the field, Seddon says the gesture brings her a lot of joy. “The love and support that’s happening around here right now, is honestly, it’s really special and it’s brought us all together,” Seddon says. Despite this gesture, Seddon says she hesitates to get her hopes up for her guidance counselor’s job. “Honestly, we’re all just hoping for a miracle, but we don’t really know,” Sedon says. The school has not made a decision on Fitzgerald’s job, but her lawyer says it could make a decision as early as next week.